In order to save space and to maintain multi-functionality of the bathroom Mogio designers advised our Clients – a young and dynamic family – to have both a rain shower and a bathtub. So we installed a fixed shower head with a valve set below and wall hanging shower kit. 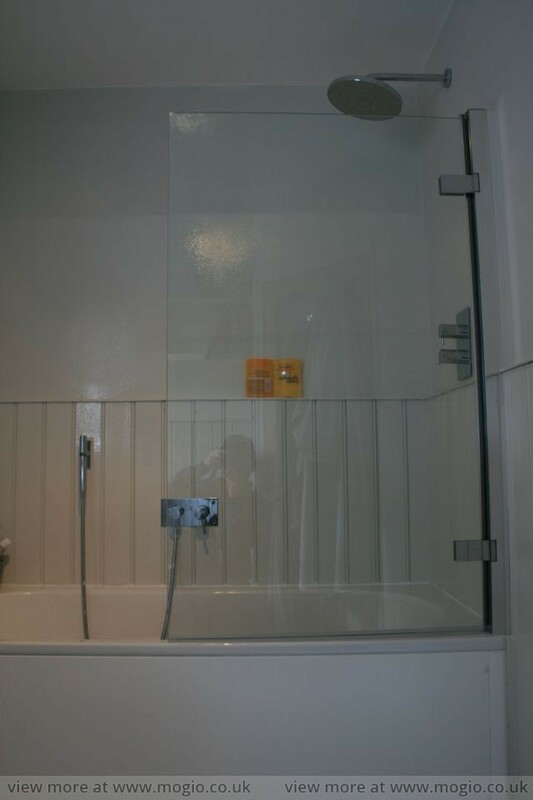 To keep the bathroom clean and dry when taking a shower, there was installed a tempered glass bar. A family bathroom is a magic place where all family members meet every day. That is why it should be first of all functional, spacious and should have a nice and pleasant design. Practical aspects, simplicity and creativity are the main points of the realised by Mogio family bathroom renovation. 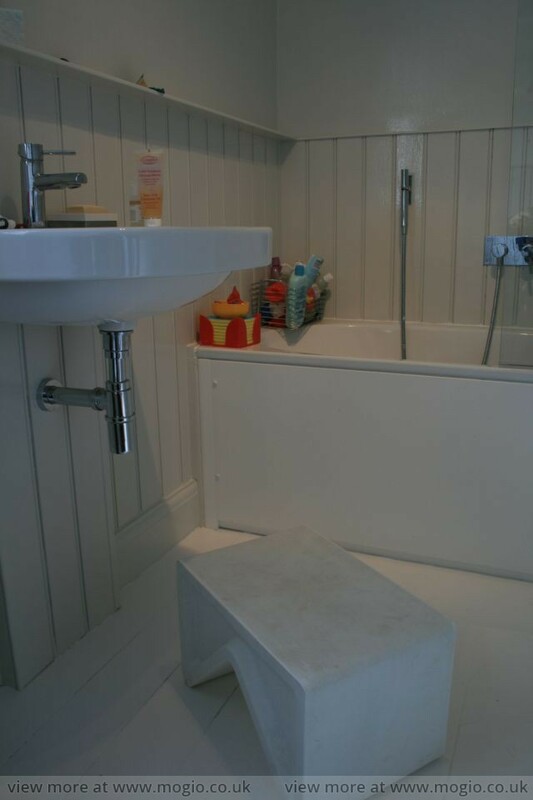 At this time we concentrated on white and unsophisticated shapes in remodelled family bathroom design. To protect your bathroom walls from children fantasy and activity, we propose using a wainscoting. This small element of interior decoration will certainly help you to also avoid stains from spluttering toothpaste and of course to add your family bathroom special look. A step stool is an excellent tool either for your children when they try use a washbasin or for you to relax and read some magazines when watching after your children bathing. Bright and full spectrum coloured towels will invite your family members to frequent usage of the bathroom. And certainly will introduce positive mood into the interior. Bathroom storage is very essential for every family not only for those comprising of few members but also for large ones. Wall shelves are great for displaying and storing bathroom paraphernalia.